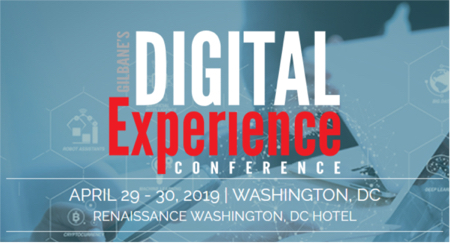 to save $200 on the Conference and ConferencePlus and Conference Only options at this year’s Gilbane Conference. To get your Bluebill discount use priority code BB200 when registering online. Join us in Boston December 2-4 and learn how your peers are building next generation digital experiences for their customers and employees. The New York Times • HP Global Web Support • Beth Israel Deaconess Care Organization • Harvard Business Review • WGBH • Marriott International • American Institute of Architects • New Balance • SAP • FamilySearch • EY • MassMutual Financial • Hartville Pet Insurance • Builder Homesite • Thomas Publishing, Activision, and many more. Learn more about the conference program.